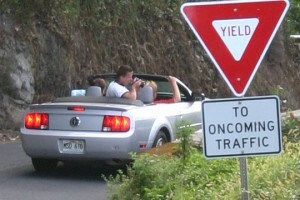 Insider source for Hawaii rental car deals. In a nutshell: Insider/wholesale pricing on rental cars. Minuses: Still trying to find one. Okay, this one of those situations where it pays to know someone local. 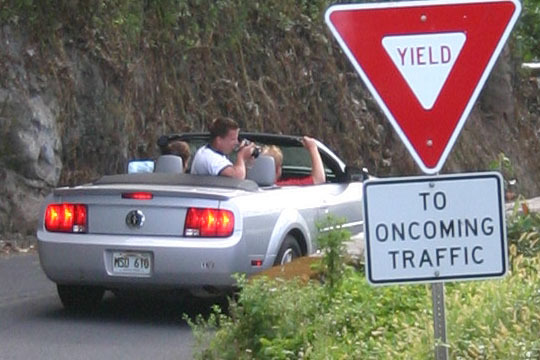 Maui truly plays by its own set of rules – and those locally connected pay less than you will for many things. Rental cars won’t be one of them – it doesn’t get any less expensive. This small locally-owned business beats out discount sites like Orbitz, Priceline & Travelocity consistently. Frequently the difference in price will be significant enough that if you have been shopping around you might think these can’t possibly be current rates. Good news: the prices are current, and they are for real. Car Rental Hawaii has an inside wholesale connection to the major in-airport rental car companies. Don’t mistake them for rent-a-wreck type places – even though the prices are in line with what you might expect to pay for a older car at a small rental place, these are current model year cars from major in-airport rental car companies. The icing on the cake is these folks don’t even make you give them any credit card or ask you to commit. You’re free to cancel out should plans change – we’re not so used to that these days – you buy from Priceline or somewhere similar and you pay immediately for a reservation you can’t cancel – we’ve been told that is because the deal is so good, they need to be sure they get paid. But I guess that doesn’t actually makes sense – because if you truly don’t have to worry about anyone ever beating your price people are going to show up for your reservation every time. If you feel like giving MauiGuidebook.com a little credit for your booking, please use this link when you book: www.carrentalhawaii.com, but let me be crystal clear, we don’t take any commissions from them and suggest them to our closest friends and family without hesitation. Price: Typically $20-55/day or $130-260/wk depending on car type. Thank you for all the great information and the detail. I had a question about the Road to Hana. We are planning to do the drive, stay the night and drive back the next day. The only catch is that my wife is almost 6 months pregnant. She thinks that she should be fine doing it but I have my doubts. In your opinion would you recommend going all the way or turning back at some point. If so what would that point be. Also, i see that there is an alternative route to return over the back of the island but read elsewhere that the rental car companies don’t allow it. Is that accurate ? As far as your wife goes, my wife and I would travel the road when she was pregnant and I trusted to use her judgement the day we would travel.